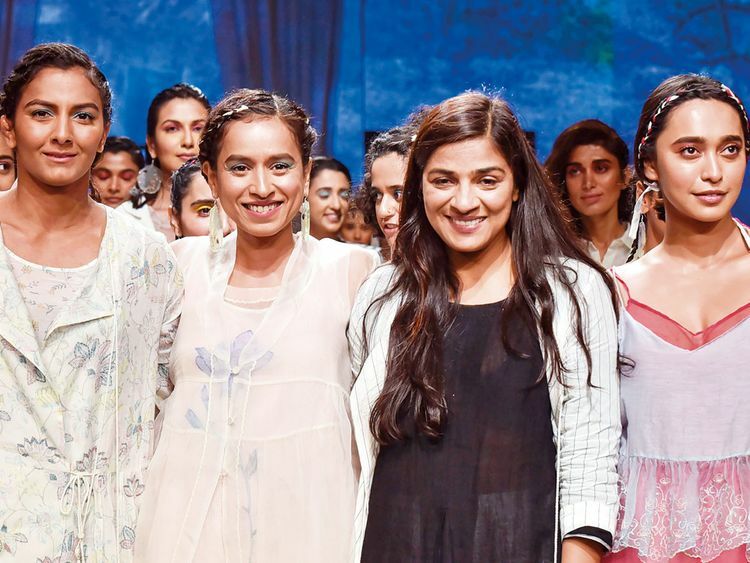 Wrestling champion Geeta Phogat packed a punch at the Lakme Fashion Week summer-resort 2019 ramp at a show, where 10 other names turned showstoppers to pay an ode to women and their inner strength. The women were dressed in subtle and feminine ensembles from a collection called Post Cards from Summer by designer Rina Singh’s label Eka. “This was my first experience of a ramp walk. Even though I go into a wrestling ring, I don’t get nervous, but I got a little nervous for a ramp show,” Phogat told the media after the show on Friday evening. “It felt really nice after meeting everyone, the models and everyone... They are inspiring,” said the sporstwoman. Phogat was also happy to draw out the Haryana connection between her and Rina Singh. “Rina belongs to a village in Haryana, and she has scaled a success story from there to here... It’s a huge thing. “I think that just like my father made strides to bring us [the Phogat sisters] where we are today, I am sure even Rina has worked as hard,” said the 30-year-old, who wore a long layered floral ensemble. Phogat, whose life story was in part brought to life through Aamir Khan-led film ‘Dangal’, stressed upon the need of inner strength. “Inner strength is most important. If you don’t have inner beauty, there is no meaning of outer beauty. That was the reason why I came here to be a part of this fashion show. I would like to thank everyone for inviting me and introducing me to the world of fashion,” Phogat added. Actors Tillotama Shome and Sayani Gupta were also a part of the line-up, as was celebrity chef Sarah Todd. “When I got to know Geeta Phogat is going to be here, I was so excited I was going to meet her,” Gupta said.